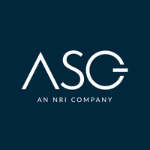 ASG is a leading IT business solutions provider, offering a complete digital transformation service, from infrastructure and managed services, through to business and IT advice and solutions implementation. ASG acquired SMS Management and Technology in September 2017, becoming the genuine alternative to Australia’s Tier 1 IT service providers. As part of the global NRI Group, we combine the strength of experience with our trademark entrepreneurial flair to raise the bar for our clients and the industry as a whole. Our consultants thrive in a rewarding professional environment, where innovation is encouraged, ideas are shared and teamwork is paramount. There is no red tape here and our leaders are actively involved and readily accessible. There is no doubt that our consultants work hard, but they also have fun and feel a strong sense of community within a culture that embodies our values of Accountability, Initiative and Grit. As a Graduate Consultant, you will embark on an exciting journey of growth and learning. You will jump straight into a hands-on role as a consultant, working within a team to find innovative ways to solve problems on behalf of our clients. Our customers include blue-chip corporates as well as local, state and Federal government agencies. It’s game on from day one, when you begin your intensive 18 Month Graduate Development Program. Under the guidance of industry leaders, your tailored development program will ensure you acquire the skills and learning, and receive the support you need to achieve your professional goals. While ASG will provide you with a formal training and development program covering the technical and soft skills required to be an outstanding consultant, it is the on-the-job learning and exposure to a variety of industries that will really take your career to the next level. The Interview process for this intake will commence late August ,all offers will be made in the last week of September and onboarding will commence in early 2019. The Process will consist of a Telephone Interview, a face to face Interview and a Presentation to a Panel.